SEO is often an overwhelming topic—the art and science of getting your content noticed from Google, YouTube, and other search engines. Tim Soulo is the Chief Marketing Officer and Product advisor at Ahrefs—an incredible tool that I recommend—and guess what? SEO doesn’t have to be difficult to understand. Tim’s going to simplify SEO strategy for us today. This is a loaded episode. Get ready to take notes. These are essentially blueprints for driving traffic to your content in a way that’s both natural and organic. (None of those paid likes/shares tactics that some people use.) Tim’s going to break this down in a very simplified manner. From the very first steps to how SEO informs content, how to stay SEO-competitive, keeping your audience engaged, and more, this episode is going to be super-actionable. Let’s get started! I use Ahrefs both for YouTube and Google and I can’t tell you how much ROI I’ve gotten from using it. You can get a free annual standard account (valued $1,790 currently); all you have to do is send . . . a tweet. Seriously. Go to Twitter and tag me (@PatFlynn) and @Ahrefs. Tell us what you liked about the episode, what was most useful to you—that’s all there is to it. Within thirty days they’ll select someone at random to win that free account! Pat Flynn: S-E-O, search engine optimization, simplified. That’s what we’re going to be talking about in this episode today. You know, SEO is a big topic. There are people who make their living by helping websites rank higher and teaching SEO. We’ve had a number of people on the show before talking about SEO strategies. And every once in a while, I love to bring somebody new on to give us a perspective on SEO and where it is now. And when I was thinking about, okay, who can I bring on? You know, there were a lot of names that popped in my head. But I wanted to also invite a person on who is behind a tool that I use for SEO purposes and research, both on YouTube and on Google. And this is Tim Soulo from Ahrefs. Ahrefs is an amazing and very powerful tool; I still haven’t used it to its fullest capability yet. It’s already provided a ton of information and, actually, ROI back from using this tool. And actually make sure you stick around to the end because there’s gonna be a way that you can actually get an annual license for free, which is, you know, nearly $2,000. And all you have to do is send a tweet, so make sure you stick around to the end. But today we’re talking with Tim Soulo who is Head of Marketing at Ahrefs, who’s going to really break down SEO for us in a simplified manner. So especially for those of you who are just starting out, or maybe you’ve been doing this for a while and you want to go back to the basics and what’s working today, make sure you stick around. This is gonna be a very, very actionable episode that you will be able to actually put to good use right away. So let’s do this. Announcer: Welcome to The Smart Passive Income Podcast, where it’s all about working hard now, so you can sit back and reap the benefits later. And now your host—his favorite jelly bean flavor is strawberry banana—Pat Flynn! Pat: Hey, hey. What’s up everybody? Thank you so much for joining me today. This is Session 364 of the Smart Passive Income podcast. If you don’t know who I am, my name is Pat Flynn, here to help you make more money, save more time, and help more people, too. And speaking of help, we’re gonna get a lot of help today related to search engine optimization. That means helping your website and your articles and your even videos rank higher. And there’s a special tool that I use to help me with that and that’s called Ahrefs. And we have Tim from Ahrefs with us today to talk in a simple manner, in layman’s terms if you will, about what we can do to better rank our stuff. So sit back or take notes. Here’s Tim. Hey, Tim. Welcome to the SPI podcast. Thanks for being here today. Tim Soulo: Hey, Pat. Thanks a lot for having me. I’m super excited about it. Pat: You know, we’re recording this right now at 9:30pm Pacific Time. Which is where I’m at right now because—where are you located right now? Tim: I’m located in Singapore, because this is where Ahrefs headquarters are. And it’s 1:30 PM here. So thanks a lot for allowing me to do it on time that is comfortable for me. Pat: It’s 1:30 in the afternoon there? Pat: Yeah. Okay. Well, perfect. Well, it’s night time for me, afternoon for you. Let’s knock this out. So for those of you who don’t know, you obviously heard this in the beginning in the intro, Ahrefs is a website that has an amazing tool that I’ve been using for over a year and a half now. And I haven’t even really scratched the surface for what it can do. And I wanted to bring Tim on, not just to talk about this tool and what it can do for you, because, you know, SEO is important and understanding what’s happening not just with your website, but with other people’s websites can help inform what you should do next to help sort of break through the competition, to rank higher on Google. We’ll talk about those things. But what I love about Tim’s approach—which, what is your position at Ahrefs? You’re not the founder, but what do you do there? Tim: No, I’m not the founder, but I joined the company when there were only fifteen people; we are at forty-five right now. And we have a hard cap set by our CEO and Founder at fifty, so we won’t grow past that. And then basically, because we are small, relatively small compared to other companies of the same size, I kind of wear many hats. My kind of official title is that I’m Director of Marketing or Chief Marketing Officer or whatever you name it. But because we’re a small team and we don’t have many, I don’t know, dedicated product managers, product owners, project managers, etc. I also kind of have a title of Product Advisor because I also participate in the actual product a lot. And I also participate in hiring people in technical support, etc, etc, etc. So yeah, when the company is small, you have to wear many hats. And I actually enjoy it a lot. Pat: That’s really cool. Okay, so product advisor plus many other hats, you know the product very well. But you also know SEO very well or else, obviously, you wouldn’t be able to support and help be an advisor to the product and help advise us how we might be able to use it. But outside of the product just in general, I love your approach with SEO. Which when we were talking earlier, and this is exactly why I wanted you to come on the show, you pitched me on the idea of making sure that everybody knew that SEO can be simple, and obviously, it can be very complicated too. And there are people who their profession is to help people with SEO and rankings. But when you are an entrepreneur, especially a solopreneur, or you’re just starting out, SEO can be very overwhelming. And I wanted to bring Tim on to tell us about his sort of easy approach, the simple approach to SEO that we should be paying attention to. And, you know, he’s not just coming at us with this information with just like, oh, this is what he thinks works, you know, his just, biased point of view; this is going to be based on, you know, the millions of data points that you’ve and your company have collected and just your experience being in this tool and knowing what works and what doesn’t based on actual real life application of it. So with all that being said, I want you to think, Tim, about the person in the audience who’s listening right now. They just got their website up and they know they need to get involved with SEO in some way. And yes, they know to put the keyword in the title of their blog post, but kind of beyond that, they really are just kind of, well, I’m just going to see what happens. How might you advise us to do better and rank higher and perform better with our websites? Where do we start? Tim: Yes, this is, I think this is a great topic, first of all. And first of all, I also want to mention that I don’t want to take any kind of brand away from people who are doing so professionally and charging money for this. Because, like you said, SEO can be kind of really complicated, especially when you’re working on, I don’t know, ecommerce websites that are big and complex. But on the surface level, I do believe that people, solopreneurs, people who are like bootstrapping their businesses, can do many, many things on their own up until they get to the level where they need to hire a professional to kind of solve more advanced issues for them. So yeah, in terms of the first steps in SEO, it is to kind of understand your market. Whenever you put a website online, you want people to find you, right? And people can find you by typing certain questions in Google, they might be searching for the problems that they have, etc, etc, etc. And, for example, the most common issue, the most common mistake that a lot of people are making is that they create kind of a one-pager website for their company. And they put all the information about their business there. So the physical location, the services that they do, the name of the founder and the phone number, etc, etc, etc, all on one page. So when Google, and Google is an algorithm, when Google tries to understand so what this page is about, what kind of keywords, what kind of searches I should rank this page for, it doesn’t really understand because there’s so much on one page. So, the easiest kind of way and the first step in SEO is for people to understand those different topics, those different searches and those different problems that their potential customers might have, and simply create a dedicated page, create the website structure that would address those different topics, different problems, one problem per page. So, this is the first thing that you need to do even without doing any keyword research, even without doing any, I don’t know, technical optimization, etc, etc, etc. Simply by having a website where you have multiple pages and each page is targeting something specific. For example, if you’re, I don’t know, if you’re a nail salon and you do three different services, have a page for each of the services. And that alone will put you one step ahead of many, many other similar websites that don’t do it yet. Pat: Now, would it be worth creating a page that then is sort of almost like a table of contents? Like I’m a nail salon and I have a page and it says, “We offer three different services.” And you’re saying instead of writing a description of each one underneath, like a giant one with how much they are, you want people to click through onto a page where now it says, you know, “Pat’s Happy Nails,” you know, I’m trying to think of nail salon services, you know, manicures, right? Pat: Or pedicures would be another one. And then the description about that specifically. And is this because when I’m going into Google and I’m looking for a manicure, I’m not going to Google and typing services that nail salons offer in San Diego, I’m looking for “manicure in San Diego,” and I’m looking for that one specific. Is this why Google favors those kinds of rankings? Pat: Yeah, I cut mine off whenever I can. Tim: Yeah. But still, some people may be searching for what kind of services nail salons in San Diego are offering, well, probably they’re researching that for their wife to make some kind of present, to make her happy or whatever. But other people, they might already know some services. So if your wife would be searching for that, she would be looking for something specific. Tim: And so yeah, it pays to understand this. Because then again, you can create pages for all these searches, you can come up with a page that would list all services that your salon and San Diego is offering. And then it would create—that page will actually funnel people towards pages of specific services. So yeah, this kind of shows you how to create basic website structure. And we didn’t do, right now, we didn’t do any keyword research with you, we just have a hypothesis of what people might be actually looking for. And this does make sense, it’s kind of pure logic. And based on our pure logic, we’re creating the website structure, we are creating dedicated pages. There is nothing scientific in that. Pat: Okay, so step one, understand your market. And that’s a really important one, obviously. And I obviously have a book about that called Will It Fly? with some major research exercise in there to do whatever you can to understand your market. Where are they? Who is an influencer in that market? What products are being served to them? But most of all, what are the problems that they have? Pat: This goes into what number two was, and verify if this is correct or not; it’s like, get in their heads, understand what they really want. Is that number two? Tim: Yeah, of course. But again, right now we’re kind of hypothesizing, we’re trying to get ourselves in the shoes of our customers and think what are the potential things that they could be searching for in Google. But then you have those keyword research tools. And there are many of them where you can actually kind of verify your hypothesis—that’s a complex word for someone for whom English is not their native language. Tim: Yeah. And then you will actually know how many times per month people are searching for that specific thing that you think that they should be searching for. So that’s the general kind of definition of the keyword research. You’re trying to understand, you’re trying to map those different ideas, your different services or different problems to the actual searches that people are putting into Google. Pat: Okay. And this is all done before we start writing, before we start publishing? Basically, we are hypothesizing, we are then verifying or validating that hypothesis, and then we go and write it? Is that the order of operations? Tim: Yeah, of course, it’s better to know that something that you would spend your time on, because you’ll have to create a page, you’ll have to describe your service there, you have to name it correctly, probably put some pictures, so you’re going to invest some work. But then there are kind of two sides of the coin. First of all, you still might need to have that page, even if people are not kind of searching for it directly, just because you’ll be advertising your website with different channels, for example on TV or in magazines. And once people will visit your website, they will browse around, see what kind of services you have. And they might want to learn about the specific service or specific product that you’re offering. So it still pays to have a dedicated page for that product or service kind of regardless if people are searching for it or not, just because it’s a good user experience. And this is what websites are for. People are coming to our websites to learn about something that we offer. But then if the other forms of advertising like TV advertising, radio advertising, etc, etc, is not the only way how you want to get people to your website. And you actually want people to find you in Google and other search engines, then you need to do this kind of keyword research. And then you need to verify which of your product services, which of the problems that you’re describing on your website, which of the questions that you’re answering on the website has search potential so that you could put some extra effort into those pages. Because you know that you have a chance to rank in Google and get traffic from Google, which you won’t even pay for. Because when you advertise your website on radio or in print, you will have to pay for that. And traffic from Google is kind of free. But you have to work on making great pages that Google will be happy to rank. Pat: Got it. Okay. So to reiterate everything you just said, creating pages for your own services. Obviously, that’s important, because you want to show everybody who eventually gets to your website, regardless of how many people are searching for those things, that you have those things to offer. However, when it comes to content creation on your website, the ability to choose to write about anything you want to write about or record a podcast about anything you want to record a podcast about, or perhaps even video or record a video about anything you want to record a video about, it’s best to take a little bit of time to do some validation, to make sure that’s a topic worth your time. Because like Tim was saying, you’re going to invest time and you want to make whatever it is you’re creating great. And how many of us, and I can’t see you listening, but if this is you like, nod your head or raise your hand or give me a tweet or whatever, but if you’ve ever just created content because you thought it might be a good idea without any research and then it bombed or it didn’t give you what you thought it would because you didn’t do any research, raise your hand or nod or whatever. That’s me. I, in the beginning, would often just write about what I thought was kind of cool. And what I thought I heard people might want to hear. And yes, I think sometimes it’s important that the content that you create comes from the words of your audience. I think that’s number one where it should come from, personally. But I think verifying that along with the search volume in Google to understand, okay, of all the things people say they want to know about, let me go check with Google and these keyword research tools to see, okay, which one should I knock out first? And that will give your website the highest sort of relevance to those keywords and the problems, which, hey, they’re helping Google, but guess what? You’re also writing for the human beings who are coming to your website too. Did I say all that correctly? To sum it up? Tim: Yeah, of course, you’re summing it up perfectly. Pat: Okay, thank you. No, this is good. And if people hear the same thing twice, that’s even better. So that’s great. Pat: Keyword research tools, search volume. If a person is just starting out, what tools might they use for just understanding that alone? The search volume for verification of these potential topics that they could put on their website? Tim: Yeah, so I can’t even say any specific tool because there are quite a few. And they’re different in their, I don’t know, usability, looks, the size of the database, etc, etc. So again, people can just go to Google, search for free keyword research tools. They will find some kind of lists with those that are suggested, and try a few of them and see which tool they try best. So in terms of a free option, there are quite a few of them, just play around. And since we are discussing SEO for people for just starting out, pretty much anything really works, any tool that can help you show the search, that can put search volume on the keyword that you’re testing, that can help you validate your idea until you, “Okay, this is what a lot of people are searching for. And this is something that no one is searching for.” This is a great tool already. And probably the kind of the easiest tool to use is, of course, the one that comes from Google. Google Keyword Planner, it’s part of AdWords. The only problem is that if you’re not running any ads, for instead of search volume, it will give you kind of around, it averages, even ranges. So we will show you that keyword is getting less than 1000 searches per month, from 1000 to 10,000, etc, etc, etc. But most, actually all other free tools, they give you a specific numbers, which are more precise. Pat: Okay, that’s super helpful. So if I was just starting out and I was coming up with and brainstorming a number of ideas and questions I could answer and topics that I could talk about, subcategories for my niche, what I would do would be to create perhaps a spreadsheet and write all those things down, you know, after I go through my Post-it Note exercise, which is what I normally start with. I put them in a database, then I go into one of those keyword research tools. And I’ve reviewed a number of them actually. We’ll put a video in on the show notes page of my top five free keyword tools that you can use to find this very basic data, that you can use right away. And then what I would do is just collect that data for search volume and just insert those numbers next to those keyword terms. And then I would rank those numbers to the most, you know, the most searched one. And that would give me an idea. Again, we’re not even talking about competition yet. I do want to talk to you about okay, well, you know, could we ever even rank for these things, for one. We’ll talk about that next. But just alone, giving ourselves like, a little bit of a better chance of spending time on something that’s worth spending time on, it would be to the ones that are on the top of that list. So I would use that. But, you know, there are tools, they’re like Ahrefs, that literally, you just type in a keyword and then boom, it’s already in spreadsheet with all the top ranking pages in the competition. And you can literally just click a couple buttons. Would I describe to you, if you were to pick 100 keywords and do that manually, would probably take an hour, where, you know, Ahrefs could do it in like a second. So that’s the beauty of these SEO tools like Ahrefs. And Ahrefs, just a big shout out to Glen Allsopp, who was a guest here on the podcast in Episode Three, I think, we need to bring him back on by the way, but he he’s the one that recently recommended that tool to me, which is how you and I got connected. And I’ve just been loving it ever since. And many people know Glen Allsopp from ViperChill. And he’s just—yeah, he’s just a genius of the SEO space. Okay, so I think we’re helping the beginners out. We’re helping make SEO doable. So now that we have a database of keywords, and we see which ones are sort of ranking at the top, where do we go from there? Are we already starting to write articles? What’s kind of the next step for us? Tim: The next step is to understand the kind of intents, searcher intent behind those keywords, behind these search queries. Because, quite often, the page that you were kind of intending to create to target that keyword is not something that people are actually looking for. And I have a great example of how we kind of fell into the trap of ourselves. Tim: So just like a month ago, we wanted to rank for the keyword ‘what is SEO’, because we have an SEO tool, so it kind of makes sense for us to rank for these kinds of things. So we wanted to write an article on the topic of ‘what is SEO’, and we thought that it would be a good idea to simply reach out to some of the best minds in the SEO space and have them kind of give us their definition of what is SEO. So we contacted over 100, like top people in the SEO space, got their answers. And then kind of curated them into a nice article. So we didn’t just use the answers, but we kind of looked for trends in what people were describing SEO and created a nice article with a lot of great advice, etc, etc, etc. Pat: Sounds really valuable. Yeah. Tim: Yeah, yeah, we published it. And usually, because we have a pretty big audience at Ahrefs, we have a lot of readers, we have kind of a good domain name, etc, etc. Usually, whenever we publish an article on a certain topic, it would quite easily kind of crunch into the top ten results in Google for whatever keyword we were targeting. So usually, it comes easy for us. But in that case, that article, it did crunch into top ten, stayed there maybe for a day or two. And now it’s nowhere to be found. I think it’s at position number forty-plus for the keyword ‘what is SEO’. Pat: Yeah, it’s off the radar. Tim: Yeah. And when we were discussing internally, why didn’t that article stick? Why didn’t Google put it at the top, like with other topics that we’re targeting? It was actually our CEO and founder who suggested that probably your article was way too advanced for a person who is looking ‘what is SEO’. Probably they just need a simple answer and not a hundred SEO professionals with their kind of creative ideas of what SEO is and what SEO is not. Many people were just looking for a simple explanation that will get them started. So this is what I mean when I say that you have to figure out, you have to put yourself in the shoes of people who are searching for something and make sure that the page that you’re about to create would be something that they are actually looking for, it would match their social intent. Because in our case with our article about what is SEO, we made it too advanced, while we should have made it super simple. So after you know the popularity of certain search queries, you need to make sure that the intent behind those search queries is something that you’re looking to address on your website. Pat: That’s really good. I kind of have an opposite example. So for a while on SPI, we were ranking for the keyword ‘affiliate marketing’, which was great. It was bringing in hundreds of new people and of course, as a result of that, subscribers, a day. 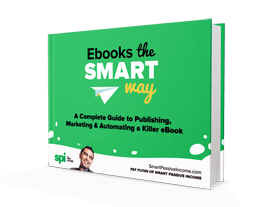 And then Neil Patel comes out and writes this ginormous article that is so handy and helpful, that really answers everybody’s questions about affiliate marketing and his style. When people are looking for affiliate marketing, they want the whole gamut of how to do it so they can start to make money. The article that we had was less than 1000 words. And it was just a kind of an overview, it was kind of like the people who are looking for “what is SEO.” I thought the people just wanted to know what the definition of affiliate marketing was and kind of the basics. But what people apparently are looking for and are sharing are the really intense, in depth articles. So one thing that we’re trying to do to counter Neil is create our own version of, from my position, the ultimate guide to affiliate marketing that will then convert that page that was ranking really well for us into a table of contents page that will then link to sort of, Wikipedia style multiple sub-sections of affiliate marketing on our website. And we’ve written over 30,000 words of new articles about affiliate marketing. And it’s going to be published on January 7th. So if you’re listening to this after January 7th, which likely you are, we’ll see where we end up in the rankings. It takes time for Google to sort of crawl through things and see things. Anyway, that’s kind of our reaction. And we had sort of the opposite example. So I love that idea of going, okay, a person is searching for this, what are they doing there? And what do they want? I think that’s such a smart thing to do. And I think that we often jump ahead, even I was trying to jump ahead to, okay, are we starting to write yet? Because I just want to get this content out. And I know how much we all want to do that. But let’s put our heads into the heads of our customers and our subscribers and the brand new traffic that’s on our website. And I like that idea. Now, one thing I just said, popped question in my head, which was okay, well, Google obviously takes time to understand things. And even you said, in your example, they put you in the top ten and then they kind of realize that that wasn’t good and then moved it out. How do we deal with Google and how weird it can be and the time it needs to do things? Because, you know, even if we go through this whole process, and we’re not done yet in this conversation, but what if we go through this whole thing, how much time do we give Google to judge whether or not this is working for us or not? Tim: Well, I don’t think there is any exact answer to this question. Tim: Actually, I think we have two stories that we shared with our story of trying to rank for what is SEO and with your story of trying to rank for affiliate marketing, kind of the underlying idea is that you should be kind of constantly looking for what is happening for whatever search query that you want to rank for, who is ranking at the top. If your piece of content is ranking, if it is ranking good, try to understand why. If it is not ranking good, also try to understand why. So like I said, we are running our own SEO tool. We have a ton of experience in SEO. And still we’re making those mistakes, those super basic mistakes of not understanding what our searchers are looking for. So the chances are people who are listening will make a ton of these mistakes, they’re going to create a ton of pages that are not relevant to whatever keyword they want to rank for, they don’t address the searcher intent correctly. So what you should do is simply go back, review what is happening and iterate, find a way to create a page that searchers would love and that Google will see that people are loving, so it will put it up. This is what we’re doing. And this is what you’re doing as well. So there’s no way around it. You have to learn from your mistakes and figure out what you should do next. Pat: Yeah, absolutely. And, you know, Ahrefs has been an amazing tool for us to understand what has been working on our website, what needs help, what is close to ranking at the top, and what, you know, those are signs that, okay, these are articles we should rewrite and kind of audit and improve and then share, get some more social signals behind them so that they can rank higher. And we’ve been working with other people too, like Russ, who was formerly a digital marketer, he added some great advice. We’re at a point in my business, where we are now hiring people to help us because we have thousands of pieces of content and a lot of things that could potentially bump up the revenue if it’s done correctly, with the funnels and whatnot. But let’s go back to the beginner. So number one, understand your market. Number two, just get to know what they want. Like, why are they there? Number three, search volume. And you talked about, okay, now, what’s the intent? What would they want to see on that page? What are the next steps from here? And keeping it simple in mind. How do we keep going? Tim: Yeah, the next step is competition. Something that you mentioned earlier, and I promised that I would get to it. So now we’re getting to it. It is of course awesome to find the most popular search—oh, actually, let’s put away competition for a while because I feel there’s another super important step that a lot of people are overlooking. Tim: And that is business potential. So I have another fun story that illustrates what is business potential. So there’s a pretty big brand in internet marketing space which is called HubSpot. They have a CRM software or whatever, I actually never use them, so I don’t even know what they sell. But they have one of the biggest blogs in the marketing industry. And of course, I was interested to research what kind of traffic do they get to their blog and what are the pages that bring them the most traffic. So I plugged HubSpot blog into Ahrefs to research what’s happening there. And the top ranking article, the article that is bringing them the most traffic from search, is on topic of how to make a gif image. And the fun thing is that this single article, I think I did the research of HubSpot blog like long time ago, and I’m still telling that story to everyone. But back when they did that, that article was bringing over 100,000 visitors per month from search, a single article. And that was more than entire Ahrefs blog, that our entire blog was bringing us in the month. So they had one single article about how to make a gif and it was bringing them more search traffic than our entire blog. But the thing is, if you’re selling a complex marketing CRM software, with a pretty high price tag, how do you take a person who is looking to make a gif image, how do you persuade them to purchase your marketing software? Are they even your customer at all? They just want to make an image probably, this could be like a ten year old kid looking to make a fun image to send to his friend. It’s not your potential customer. So a lot of people get carried away with the search queries that are promising them a ton of traffic from search. But will you be able to convert the traffic? How does this search query connect to your business? So in our case, at Ahrefs blog, we’re not doing that kind of mistake. And we’re trying to only target search queries that would be highly related to our business, to the point that whenever there’s a topic and we cannot mention our own tools and services, the product that we sell, within the topic, we won’t write an article about this. Because it doesn’t make business sense for us at this time. So we only try to target topics and better if you can find a topic where your business, your product or your service would be irreplaceable solution. So if people are searching for something and your business is the best possible way to solve the problem—so that would be the keyword with the best business potential. And if you have a keyword, if you have a search query that people are searching for and you cannot find a way to even mention your business in that context, that means zero business potential for you. So it doesn’t make sense for you to write an article on the topic. Pat: Right. Unless your business is traffic. Pat: And you have ads. Right? Pat: Very similar story, not from my own self, but somebody was ranking really high that I knew for a keyword that had the word ‘free’ in it. And it was a free and then they offered a service on top of that, that was paid. But they were ranking for the free term. So ‘free,’ I can’t remember what the service was. And then of course, trying to convert all those people who found their website from going there because they want something for free and then trying to convert them for something for paid was very difficult. So user intent upon arrival is, like you said, very important too. Unless it’s specifically for ads. Which is when you start to see a lot of brands mess up a little bit because they start to create articles that aren’t necessarily relevant to what they do just because they have a little bit of authority and they can start ranking. And I noticed this guy’s—I noticed this because here’s a funny story. My son, he’s eight, yes, we play Fortnite together, which is a big video game. We play Fortnite. But we use it as a reward, like if he does his work and he has had an awesome week and same with me, then we will reward ourselves on the weekend with a couple hours of Fortnite and do some duos together. And yes, we’ve won a couple battle royales together. It’s actually really fun. Now here’s the thing, in Fortnite—they’re a really smart company, Epic Games, because they add a lot of new things all the time. So it refreshes the game all the time. And there’s challenges. Every week there’s new challenges. And sometimes those challenges are search for this hidden thing. So everybody who plays Fortnite, and there’s 200 million people who play Fortnite, they search for how or where to find, you know, the anchor or something. I’ve been noticing that a lot of the top articles that are solving that problem, that are teaching people were to solve these challenges, is Forbes. Forbes.com, which is like a money-related magazine, that is ranking really high for Fortnite related challenges. It does answer the question. I’m like, “Oh, thanks, Forbes. But what are you doing here? Why are you . . . ?” This actually made me feel really weird about Forbes. The fact that they were spending the time and money just to rank for these keywords that, you know, ten to fifteen year old kids are typing in to find these things. It just made me feel icky. It didn’t help the brand, even though they were helping me. Tim: Like you said, they make money off ads, and they have a lot of ads on their website. So I think the traffic brings them money still. Pat: Yeah, no. I mean, that’s what it is. Right? Forbes-nite. But okay. But thank you for putting competition aside for that. Because that is really important. Now, that’s not to say that if you are a content blogger more than a business or product service based business, like you guys, I think it’s still important to write articles that are helpful, even if there is no potential to make money from that particular article. Because you can bring people in from those articles. And if they like what they see and they see other things that maybe there’s an affiliate link, or maybe there’s other products that are in the sidebar, or they get into your email list. I think that’s okay. I don’t want to say that if an article itself is not going to link to a product that you shouldn’t write it. I think there’s still obviously room for that. Do you have any counters to that or thoughts to that? Tim: No, absolutely no counters. I just wanted to kind of clarify that it’s probably not about the sale and kind of the monetary value, but let’s say that the topic of your article should align with the bottom line of your business. Because, like you said, if someone is a travel blogger, for example, and their goal is to simply grow their audience, the audience of people for know them, and to grow their email list. Because later they might be able to launch something to their email list. Yeah, in that case, it makes sense to target topics that have tons of popularity, tons of searches per month, but not necessarily aligned with a specific travel product that you have or a specific product offering. But just to simply introduce people to your blog, to your content, to have them start following you. And later, you might be able to kind of market for them. But if you can, like steel, I think that if there’s something that you can align your content with, like, in our case, we have a sales product, we have online tools. And since we are picking between content that is not relevant to our tools, where we cannot plug our tools and content where we can plug our tools, we would, of course, go for the latter. Because it just make sense for us, and it grows our business quite faster. But on the other hand, actually, the amount of topics where we can directly showcase and show off with our tools, it is quite limited. So at a certain point in time we’ll simply run out of topics that would be directly relevant to our business, and we’ll have to go broader. So that’s your case. Pat: Sure. Now, the nice thing about the area that you’re in is its SEO and it’s always changing. So you will have, you know, almost unlimited amounts, but yeah, I know what you mean. Okay. Now, are we ready to talk about competition? I’m a very competitive person. And this is like,\ what I’ve been looking forward to. Tim: Yeah, I think so. I think we’re ready. Pat: Okay. So I have a blog. And I have written articles that I know are relevant to my audience. Spoken to them about it, search volume is high, and customer intent is good. But there’s already pages that are ranking on the top ten. I’m coming in as a newbie. How do I even have a chance to outrank those punks that are where I should be? I’m really not a mean person, for those of you who are just listening to me for the first time. Pat: You’d be a billionaire. Tim: Yeah, probably I would be not talking to you, but hanging out with Elon Musk on the moon somewhere. So the thing is, the entire SEO industry exists because people don’t know how to kind of estimate their chances of ranking and have a bulletproof, one-two-three, step by step way of ranking in Google. But we have kind of certain clues that kind of help us predict our chances with more or less good accuracy. One of the clues, we already discussed it. And that is if people will enjoy the content, if the content will match what people are searching for, if they will be satisfied. Because what I’m noticing with our own blog, it might not be 100 percent relevant to every listener. But still, I think it is important thing to share. Whenever we publish an article, what I’m seeing quite often is that Google will put us in the top ten search results for some maybe not for the main keyword, maybe for some long tail variations, but I see that whenever we publish a new article, Google will send some search traffic, some relevant search traffic to that article almost the same day. And I feel that this is their way of testing if our article, if people who are searching for specific topic, if they like our article. And then based on the performance, if they stick, Google sees that people stick with the article, if they read it till the end, if they click links, if they stay on our website, etc, etc, etc, they might use, I think Google has consistently denied that they’re using those behavioral factors, that they’re not tracking how people behave. But what I’m seeing from my own experience is entirely different. And I’m sure that many people who are trying to rank in Google have experienced this as well. Google will try to send you some traffic. And if the traffic doesn’t stick with your page, nothing will save you. So the first thing is to make sure that your page is the best resource that people might be hoping for. And if you can produce something that is better than competition, then you’re already one step ahead. If you don’t think that you have more authority, if you don’t think that you have more knowledge, more experience, more, I didn’t know, useful tips or whatever, then the pages that already ranking top, then there’s almost no way for you to rank there. So this is the first thing to simply be objective about your piece of content compared to what’s already ranking there. What do you think? Pat: I like that. So to reiterate, Google will, when you publish something, often already start ranking that quite high. Tim: Not for the main keyword. Not for the main keyword. Pat: —other things that you mentioned, which is why you should spend a considerable amount of time really going in depth with these articles and these answers to people’s questions. And then essentially, they use those as, okay, let’s see how this performs. And if it performs well, then it will rank things higher. A couple things that come to mind with that, number one, they’ll place your article high in search rankings for certain keywords, but that doesn’t necessarily mean people are going to click through. I think, in addition to this, the title of that article, and how compelling it is to click it, the description all play a role in this whole process, right? Tim: That’s a very good point. Yeah. Pat: So that’s number one. And number two, you mentioned them, but I don’t want to breeze over them too quickly, is what are those behavioral signals? What, like you had said, well, do they enjoy it? To Google, what does that mean? What are those signals? Tim: That’s simply time on page. Tim: Yeah, so if people will click on your article within the search results, and they will quickly close the tab and click on something else. Even if Google is not tracking like how people behave on your website, they can easily track the clicks of their own search results. And if they see that the people clicked on your page, but then within like twenty seconds, they immediately went back to the search and click the next page that is one step lower, they can track that. And they can see that probably your search result didn’t satisfy people. On the other hand, they might see that people do this search, they clicked on search result number three, which was your website,and that’s it. They didn’t perform any other search, they didn’t click on any other search results. Because again, yeah, after searching for something, people might click a few pages, nothing will stick with them, they might not like any of the pages, and they will try to refine their search. So they might try to get a more relevant results by doing some kind of other search. And Google can track all these things. So even if Google is not tracking what’s happening on your website, if people are staying on your page long, if they are clicking any links and go further down your website, they still can track how people behave within their own search results. And it does make a lot of sense. Pat: That’s cool. It’s very similar to how YouTube works, actually, which is, you know, you rank your video higher than others when people are watching your videos for longer. Pat: Then you continue to keep people on YouTube and people have a higher session time. And it seems to be very similar. Remember, Google owns YouTube, they likely share a lot of secrets with each other. So time on page, you had mentioned if they go to your page and leave right away that would be considered like a bounce, a high bounce. Pat: To avoid the bounce, you can get people to stay on the site for longer. And that includes clicking into other things. So if they go to your website, and then they interact with it in some way, that’s good. Right? Does social play a role in this, in terms of if they enjoy the site? I would imagine that, hey, if a person shares something, then that means they like it. Would that often give you a boost in that particular search result? Tim: I think that the actual counter doesn’t make sense. So I see that a lot of people kind of, who call themselves . . . So people, they would go and kind of purchase those quote unquote, “social signals.” So they will go to Fiverr, spend five bucks, and they will get 200 tweets and 300 likes on their article. I don’t believe that this is what helps a page to rank in any way. But on the other hand, think about this, Google is a crawler. So they crawl the entire web all the time for new links. I know that because we do that at Ahrefs, we also crawl the entire web to kind of replicate what Google does. So whenever people visit your article and they start sharing it on Twitter, on LinkedIn, on Google Plus on Facebook, and they will in forums, etc, etc. as Google crawls the web, because they crawl super fast, they can see those links. And they can see that people, the actual people, not the bots that you buy on Fiverr, are sharing the article around. They’re bringing more and more attention to it. And these could very much be a signal. I’m not saying it is. But I’m saying that it makes sense. Because we could easily build this kind of thing at Ahrefs. So I don’t see why Google won’t be able to use this as one of the many hundreds of their signals. So yeah, don’t aim for the numbers. Don’t aim for buying tweets and likes on Fiverr. Aim for natural engagement. If people will genuinely enjoy your article to the point that they want to tweet it, they wanted to post in a message on a forum, etc, etc, etc, these will help you rank for sure. Pat: Got it. And this goes back to a lot of what we often hear on the website, on the blog, on the podcast here, on SPI, when people come on, experts: they say just provide value, give something that like people will love. Pat: And it’s funny, because the way you explain it, it’s like, oh, whoa, that’s actually what Google is looking forward too. So when it comes down to it, it’s always about who you’re serving, which is exactly where we started, which I think is really cool. And I like that. And that makes me think about, okay, how can I get more people to like my stuff? And a lot of you know my style. And there’s a few ways that I do that, personally. And I’d love to hear your thoughts Tim, after. Which is making sure that I’m just, be myself, that I don’t be somebody other than me, so that people can connect with me. I try to joke around and be nerdy every once in a while. And I insert that into my content so you can get a feel for me within my content, within the blog and my nerdiness sometimes. It is properly breaking up that content so it’s digestible. So it’s easy to read. So that it looks nice. So that it is something that when they arrive on the page, they’re not going to bounce because it looks ugly. But it’s decent enough for a person to read comfortably. It’s actually useful. It has things in it that people can implement right away. It has images that people can look at. It has a reason to keep scrolling down. It has connections to people that guest may already know and has social proof. So a person can go, “Oh, that Pat guy, I don’t know him, but I’m going to read what he has to say because he’s won awards because of his podcast,” or whatever. I don’t know, those are just some thoughts, which are less like, “Let’s look at the data,” thing, but more general, how I approach my content, so that I hope my people will like it. What are your thoughts on that front? Tim: Yeah, I have a lot of comments on that. First of all, I like that you kind of made fun of what is the data and blah, blah, blah, because there are tons and tons of people all around the world who don’t know the technical side of things, who are creating stuff based on what their gut feeling tells them. That is awesome. And they succeed. And you’re the perfect example of that. You don’t care about how many times you put a keyword on the page, and you still have a successful business, you make money and you’re happy, etc, etc, etc. So this is the first thing. The second thing is, right now, I’m actually in the process of writing an article with my favorite content promotion strategies. And one of the strategies is to create shareable notable content. Because one of the best ways to promote your content is to have your readers promote it. If someone will read your article, and they will say, “Whoa, that was freaking amazing. I want to share it with someone. I want to send it to my friend. I want to send it to my coworkers I want to tell about it to my wife,” etc, etc, etc. That’s the best thing you can do. Because for every visitor that the land on your article, there’s a super high chance that they will share it to someone else, and that person will share it to someone else. And this is how kind of viral outbursts happens. And this is how this snowball gets bigger, etc, etc, etc. And, of course, within my article, I’m also trying to provide some kind of actionable ways to create notable, shareable content that people will care to share with each other. And you just give them a nice list of things that you’re doing, but then going even more simple. So I’m drilling down, I think, two main points. The first point is to write something original. So I see too many people who write content based on what they have read from other people. So if you want to write about affiliate marketing, you will go read ten articles that already rank in Google and try to create your version of the same article. That’s not the original—that’s not what people want. The right way is to use your own experience. Like you said, you’re just being yourself, you’re sharing your experience, you’re sharing your thoughts, you’re sharing your ideas, your best practices. You don’t care what others say, you only care about yourself and you’re sharing your unique perspective based on what you were doing online, etc, etc, etc. So I feel that the best thing you can do with your content is to stop kind of relying on what other people say; do something yourself and write about it. So just recently, we published on our blog an article about podcast advertising. And what we could do, we could read like a few dozen articles that already exist about podcasting advertising. I could hire a copywriter at Upwork for, I don’t know, $20 per hour, or etc. and tell them go research podcast advertising and write me an article on that topic. But this is not what we did. Because for the past year, in 2018, we have sponsored quite a few different podcasts. And we got a ton of experience out of it, a ton of unique firsthand experience that we didn’t see anyone else share. So when we were writing an article about podcast advertising, I don’t think we even read a single existing guide about podcast advertising because we just didn’t care what they have to say because we had our own unique stuff to say. So this is the first thing. Have something unique original, that would be based on what you know and what you have done, and not just reiterate content of other people. And the second, thing, and you also have provided quite a few tips on doing that, is to kind of write well, learn to write well, learn copywriting, learn storytelling, learn how to format your articles, how to break it down into sections, paragraphs, sub headings, etc. etc. etc. Learn to engage people with different visuals, etc, etc, etc. So I’m kind of bringing it down to only two things: Have something original to say and learn how to say it well, with all those kinds of ways, tricks, and tactics. Pat: Thank you. I love that. And I love that example that you shared about podcast advertising. I’d never seen an article quite like that. I’ve seen articles about how to have advertisers on your show, but to come from an advertiser’s perspective—and you’ve experimented with sponsorships on several different podcast episodes, including SPI last year. And how did SPI do by the way? Tim: Well, you know what I’m going to say. You perform best of all. Actually, in all honesty, we are not kind of tracking the ROI super precisely, so we don’t have any landing page or offer or whatever. We’re usually just tracking with the kind of site clues, whenever people to tweet something, whenever people email us and tell us that they’ve heard of us on your show, etc, etc. And from my experience, from our experience, your podcast has generated the most buzz and the most mentions and the most people telling us that they’ve heard about us on your show, or even existing customers saying that they were super happy to hear about Ahrefs on your show. So if any of our Ahrefs customers is listening: Hi guys. Pat: That’s cool. Yeah, and I’ve had, personally, a number of people to reach out to me and say, “Thank you for introducing me to Ahrefs, it was exactly the tool I needed.” And that’s the kind of thing that can come when you build a really great brand and you really care about your customers, you can still make money and you can still connect with companies who may charge your audience, but if you know that they can help, then everybody will win. And I think that’s the thing. And yes, I’ve been approached by different companies to sponsor my show for much more money, but they’re for things like mattresses and dog food and stuff that you guys wouldn’t ever care or it would be really random here. And so thank you for saying that, Tim. And obviously, I threw you a nice easy to hit softball there. So thank you for knocking it out of the park for me. But anyway, I love the idea of just, you did an experiment and you shared the results. And it was about a topic that wasn’t discussed very much. And it went viral because of that. Because other people who are thinking about doing podcast advertising would want to know. So we’ll definitely link to that article in the show notes for everybody in case you’re interested in that kind of data. But also not just the data, but just how that article is written, and remembering why it was written, and those kinds of things. The last thing you want to ask you, Tim, before I let you go—and this has been a really great conversation. I think a lot of people are going to be really stoked about this. And like I said at the beginning, make sure you stick around to the end because we are going to be giving away something to you. And I’ll share with you at the end exactly how to get that or how to potentially get that. But the last thing I want to ask is, okay, we did all this stuff to kind of set ourselves up for success, and I think we’ve given everybody a really good foundation, but where might Ahrefs start to come into play? How do we start to, once we sort of have a good rhythm and we’re starting to get some traffic, how can Ahrefs and the principles behind the tool really help us excel and get even more traffic faster? Tim: Okay, before I get into it, I can already feel that there are quite a few listeners who are expecting me to address something that wasn’t yet addressed, in terms of keyword competitiveness, keyword competition. And that is backlinks. So this is something we didn’t mention. Pat: Let’s talk about it. Tim: Yeah, whenever you want to rank for a keyword, we already discussed that you need to observe the competitors that are already ranking there and see if your content would be any better. We already discussed that you have to make sure that you’re nailing the searcher intent, you have to make sure that people stay on your page and get what they wanted. But then, if you really want to get to the top of Google, there’s one super solid ranking factor, super important, one of the major ones Google is using to identify which page should rank. Because, think about it., if you’re Google and you have 100 pages about cat training, about training your cat to do whatever, something, and all of these 100 pages, they are good. They are written by professionals, they have their unique tips, etc. etc. etc. and each page is kind of worth ranking at the top. So if you’re Google, how do you figure out which page should rank higher? There’s no way to do it just by reading the content, especially if you’re Google, if you’re not a human being who can kind of have their own opinion on which is better and which is not. But if you’re an algorithm, you have to have some sort of numerical, mathematical clue. And what they’re doing is they’re counting links. So how many other websites, how many other pages all around the web are linking to this resource? Because those links, they’re kind of like votes. So the fact that you’re going to link to our article about podcast advertising, it means that this is a good article, that you kind of endorse it. That you want your audience to read it. And this is what Google is figuring out. So whenever they will rank articles about podcast advertising, they will look for links. And one other important point is that you can link to our article or so random person who is just starting out can also link to our article about podcast advertising. And I think that it’s clear that your link should have more value because you are a bigger authority, you have a bigger website. And your own website has many more links, so if you link somewhere it should give that page more value than if a brand new website that doesn’t have any links of its own is voting for a specific page. So yeah. This is the last thing I wanted to address in terms of keyword competition. So whenever you want to rank for something, for example, you guys want to rank for affiliate marketing, and if you Google for affiliate marketing and check how many backlinks the top ranking pages have, that would be a lot. So you’ll know that you’re up against strong competitors. And you would really have to use your audience to read your guide and then later to link to that guide. Because those links from different websites do help that guide to rank. Pat: But it would be better if I had some of my fellow online business friends who have websites that are likely weighted more and have more links going to them also linking to that page. Tim: Exactly. You’re in a good position, Pat. Pat: Yeah, yeah, I’m glad I’ve made a lot of friends. And honestly, I’m very glad. And it kind of, it comes from seeing what I could do to offer value to them. But I think this strategy from Google to use backlinks as votes makes sense. And the idea that well, not every vote is counted the same, I’m glad about that. Because if every vote was counted the same, then you could do what many people used to do, which was create your own websites that would then link to these articles, and buy websites that just can link to these articles that you have that you want to rank, and kind of manipulate the system. Which is something that Google now knows happens and is combating. So that’s great. And thank you for interjecting with that because that is obviously a very important point. So thank you for bringing that. And I know Ahrefs can show us, unlike some of these free google keyword tools, that portion of it. Right? Like the backlinks and a lot of the other data points behind it. Before you go, why else might a person listening to this now, why should they get Ahrefs? Tim: Yeah. So I’d say that for average person who’s just starting out with SEO, Ahrefs might seem like a quite sophisticated and complex tool. And that is the reason why we have actually a lot of great learning material. So we have a lot of great articles on our blog, where we actually show how to use Ahrefs for doing this and that, for doing keyword research, for figuring out where to get links, etc, etc, for auditing your website for any SEO issues, etc, etc, etc. We also have our YouTube channel, where we also show how to solve different marketing and SEO challenges with our tools. So actually, if I were to kind of pitch Ahrefs, I’d rather pitch our learning materials, because it’s not—people don’t want to buy a drill, they want to drill a hole. Right? So you don’t want to use any specific tool. You want to learn how to make your website rank in Google. And Ahrefs is a great tool, but if you will just go to our website and sign up for a trial, you will get nothing. So it’s better, if you really want to get better at SEO and understand how it works, because again, it helps you even if you’re a founder and you’re thinking, “Oh, I’ll just hire people to do SEO for me.” You might hire bad SEO. So it still pays to have some basic understanding of SEO so that when hiring people into your team, you will be able to figure out who is good at it, who is bad at it. So yeah, I just invite people to browse Ahrefs blog, to browse our YouTube channel, and to check out some of our learning materials. And they will naturally see what kind of applications Ahrefs has and how they can use Ahrefs to improve their SEO, do keyword research, do link building and get more traffic from Google as a result. Pat: Dude, that’s so epic. I just basically was like, hey, okay, now pitch your product that I use, that I love. And you’re like, “No, learn first. We have all the resources.” How incredible is that. And obviously, when you learn from Ahrefs and you get into it and you can understand it more in terms of benefits then the tool will just obviously make sense, because you build it for people, you build it for everybody’s learning there. So thank you for that. And like I said earlier, we’re gonna do a little bit of a giveaway, stick around. In the outro, I’ll tell you about that. But Tim, I just wanted to thank you and Ahrefs and your founder and everybody working there for all the great work that you’ve done. The tool has definitely been great. For me, one thing that I use it for is to automatically send me alerts or things related to the keywords that I want to rank for. I use the Site Explorer quite a bit. I use it to gauge kind of what’s been popular on the website in the recent past and what is ranking not quite as high as we had hoped, and then going back into those articles and rewriting them and all those kinds of things. And competitive research. All the things. I didn’t even realize how much I was using it until you and I were going to get onto a call recently. So it is definitely become a part of my toolbox. I appreciate you and the team for it. Any final words of advice for people in this world of SEO? Tim: A final piece of advice is don’t overthink it. Just start with the basic, start doing something, start putting out those pages, start observing how these pages are ranking and bringing you traffic. And I’m sure you’re going to figure out the rest. Because you don’t need to get to advanced levels of SEO unless you want to make money by doing SEO. So for average business owner and solopreneur, you can figure it out easily. Trust me. Pat: Cool. Thank you so much. I appreciate you. Guys, stick around. I have a few more final words to say. But Tim, rockin’ man. Thanks so much for all the help. Tim: Thanks a lot for having me, mate. Pat: All right, I hoped you enjoyed that episode with Tim Soulo, again from Ahrefs. And again, highly recommend this tool. Ahrefs.com: That’s where you need to go. There’s a great trial offer there, if you want to check out this thing. And I will be doing more videos about Ahrefs and how I use it in the future. Actually, it was Glen Allsopp from ViperChill who first recommended this product to me. It’s been game-changing for me and my team in terms of how we understand what we should be writing about, how to write about it, and really where to spend most of our time. So as I said earlier, you can actually win in annual standard account, which is valued at $1,790 today. And all you have to do is go to Twitter and tag myself, @PatFlynn and Ahrefs, both of us. And just tell us why you thought this was a great episode or what you enjoyed most about this episode. The most useful piece of information perhaps. Doesn’t really matter what you tweet, they just want to know, and I want to know, if you enjoyed this episode and you heard it. So again, @PatFlynn and @Ahrefs on Twitter. And within thirty days they’re going to select somebody at random to win this account. And it’s gonna be awesome. So one more time, @PatFlynn, @Ahrefs, and just let us know what you enjoyed most about the show. So that’s on Twitter. And by the way, if you want to get the show notes and a reminder and—you know, you really want to make sure that you get the sort of tags right on Twitter there. All you have to do is go to the show notes page, SmartPassiveIncome.com/session364. So there you go. Ahrefs.com, amazing tool that I’ve been using. It’s been game changing and I look forward to seeing how you guys use it too. So make sure you stick around. Subscribe if you haven’t already. And wherever you’re listening to this—Spotify, iHeartRadio, Pandora perhaps, on your device, on iTunes, Stitcher, Google Podcast on your Android device, doesn’t matter—I just wanna say thank you so much for listening in. I hope this was helpful. Make sure to put these things to use too. SEO doesn’t have to be hard. And with a little bit of help up front and with a little bit of time and care, it can add up to a lot more traffic for you, and of course dollars down the road. So thank you so much. Make sure you hit subscribe. Team Flynn, see you in the next episode. You’re amazing. Team Flynn for the win. Announcer: Thanks for listening to The Smart Passive Income Podcast at www.SmartPassiveIncome.com! Special thanks to Tim Soulo for joining me this week. Until next time! Ahrefs' Chief Marketing Officer breaks down a simple, actionable SEO strategy—from the very first steps, to query and keyword research, content planning, SEO competition, and more! How to take the first steps toward SEO-optimization. How SEO helps content creators find topics that resonate with their audience and drive traffic. How to use SEO research to your advantage and create high-ranking content for target keywords. Why simple answers can be the most effective when writing content informed by SEO research. What Fortnite and Forbes.com can teach you about SEO. How to keep your website and content SEO-competitive. How Google tracks user activity and website engagement. Why natural engagement is so much more effective than buying likes and shares. How I strategize my own content (apart from data analysis and number-crunching). How backlinking comes into play in SEO strategy. How you can use Ahrefs to improve your SEO, and more!